We are pleased to present The Condition of Education 2018, a congressionally mandated annual report summarizing the latest data on education in the United States. This report is designed to help policymakers and the public monitor educational progress. This year’s report includes 47 indicators on topics ranging from prekindergarten through postsecondary education, as well as labor force outcomes and international comparisons. In addition to the regularly updated annual indicators, this year’s spotlight indicators highlight new findings from recent NCES surveys. The first spotlight indicator examines the choices and costs that families face as they select early childhood care arrangements. Drawing on data from the NCES National Household Education Survey, the indicator finds that early childhood care expenses were higher in 2016 than in 2001. 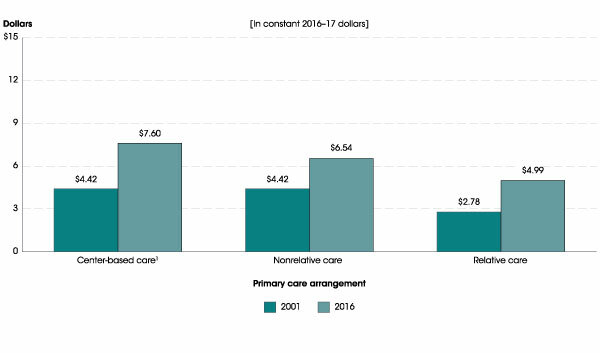 For example, families’ average hourly out-of-pocket expenses for center-based care were 72 percent higher in 2016 ($7.60) than in 2001 ($4.42), in constant 2016–17 dollars. The indicator also finds that in 2016, some 57 percent of children under the age of 6 had parents who reported there were good choices for child care where they lived. Among children whose parents reported difficulty finding child care in 2016, some 32 percent cited cost as the primary reason. The complete indicator, Early Childhood Care Arrangements: Choices and Costs, contains more information about how these findings varied by family income, race/ethnicity, locale (urban, suburban, town, or rural), and children’s age. 1 Center-based arrangements include day care centers, Head Start programs, preschools, prekindergartens, and childhood programs. NOTE: Estimates include only those children whose families paid at least part of the cost out of pocket for their child to receive nonparental care at least weekly. SOURCE: U.S. Department of Education, National Center for Education Statistics, Early Childhood Program Participation Survey of the National Household Education Surveys Program (ECPP-NHES: 2001 and 2016). See Digest of Education Statistics 2017, table 202.30c. The second spotlight describes the characteristics of teachers who entered the teaching profession through an alternative route to certification program. Compared to those who entered through a traditional route, higher percentages of alternative route teachers in 2015–16 were Black (13 vs. 5 percent), Hispanic (15 vs. 8 percent), of Two or more races (2 vs. 1 percent), and male (32 vs. 22 percent), and lower percentages were White (66 vs. 83 percent). Overall, 18 percent of public school teachers in 2015–16 had entered teaching through an alternative route to certification program. The percentages were higher among those who taught career or technical education (37 percent), natural sciences (28 percent), foreign languages (26 percent), English as a second language (24 percent), math and computer science (22 percent), and special education (20 percent). The analysis also examines how the prevalence of alternative route teachers varies between charter schools and traditional public schools, between high and low poverty schools, and between schools that enroll high or low percentages of racial/ethnic minority students. For more findings from this analysis of data from the National Teacher and Principal Survey, see the complete indicator, Characteristics of Public School Teachers Who Completed Alternative Route to Certification Programs. NOTE: Teachers were asked whether they entered teaching through an alternative route to certification program, which is a program that was designed to expedite the transition of nonteachers to a teaching career (for example, a state, district, or university alternative route to certification program). Detail may not sum to totals because of rounding. Race categories exclude persons of Hispanic ethnicity. Data for American Indian/Alaska Native teachers who entered teaching through a traditional route and Pacific Islander teachers who entered teaching through traditional and alternative routes round to zero and are not displayed. SOURCE: U.S. Department of Education, National Center for Education Statistics, National Teacher and Principal Survey (NTPS), “Public School Teacher Data File,” 2015–16. See Digest of Education Statistics 2017, table 209.24. The third spotlight presents data on average student loan balances for students completing graduate degrees. Using data from the National Postsecondary Student Aid Study, this indicator examines how average student loan balances changed between 1999–2000 and 2015–16, and how those trends varied by degree type. Among graduate school completers who had student loans for undergraduate or graduate studies, average student loan balances increased for all degree types (in constant 2016–17 dollars). For example, average student loan balances for students who completed research doctorate degrees, such as a Ph.D., doubled during this time period, from $53,500 to $108,400 (an increase of 103 percent). Average student loan balances increased by 90 percent for those who completed professional doctorate degrees, such as medical doctorates and law degrees (from $98,200 to $186,600). The complete indicator, Trends in Student Loan Debt for Graduate School Completers, also describes how average student loan balances varied among specific degree programs, such as medical doctorates, law degrees, and master’s degrees in business administration. 1 Includes chiropractic, dentistry, law, medicine, optometry, pharmacy, podiatry, and veterinary medicine. NOTE: Data refer to students who completed graduate degrees in the academic years indicated. Includes student loans for undergraduate and graduate studies. Average excludes students with no student loans. SOURCE: U.S. Department of Education, National Center for Education Statistics, 1999–2000, 2003–04, 2007–08, 2011–12, and 2015–16 National Postsecondary Student Aid Study (NPSAS:2000, NPSAS:04, NPSAS:08, NPSAS:12, and NPSAS:16). 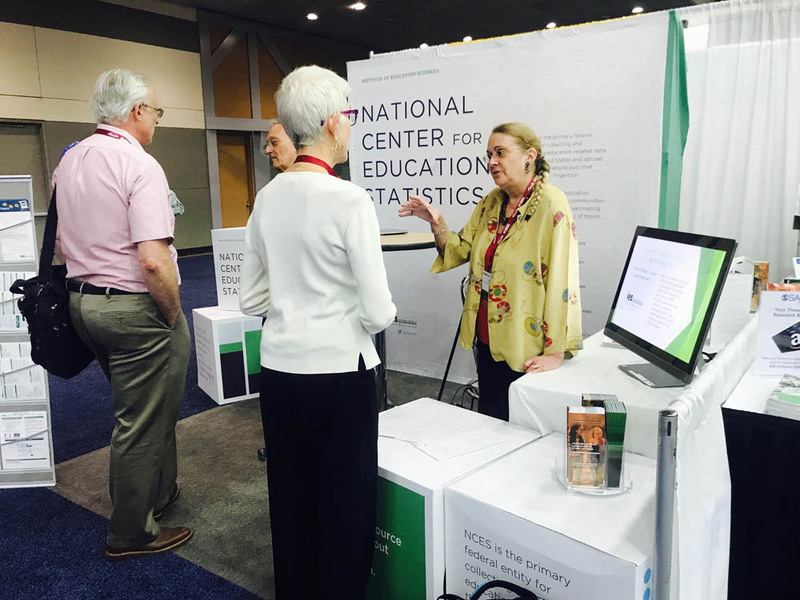 See Digest of Education Statistics 2017, table 332.45. The Condition includes an At a Glance section, which allows readers to quickly make comparisons within and across indicators, and a Highlights section, which captures key findings from each indicator. The report contains a Reader’s Guide, a Glossary, and a Guide to Sources that provide additional background information. Each indicator provides links to the source data tables used to produce the analyses. As new data are released throughout the year, indicators will be updated and made available on The Condition of Education website. In addition, NCES produces a wide range of reports and datasets designed to help inform policymakers and the public. For more information on our latest activities and releases, please visit our website or follow us on Twitter, Facebook, and LinkedIn. Seventy-two percent of all undergraduate students received some type of financial aid, including loans, in the 2015–16 academic year. For those who received aid, the average was about $12,300 per student. If you want to explore more statistics on student financial aid, you can! NCES has released new data from the 2015–16 National Postsecondary Student Aid Study (NPSAS:16). Data users have the ability to generate estimates and perform their own analyses using our online data analysis tools available in DataLab. Users can select the tool that best meets their needs, including PowerStats, QuickStats, and TrendStats. 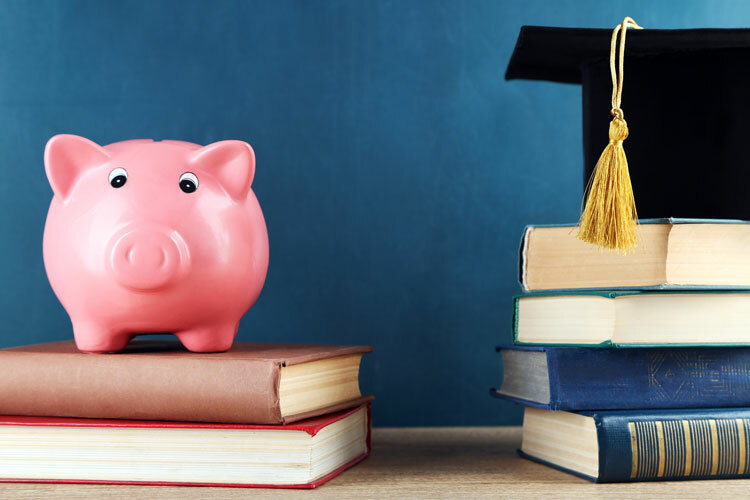 NPSAS is the most comprehensive nationally representative study of how students and their families finance postsecondary education in the United States. The NPSAS:16 sample consisted of approximately 113,000 undergraduate and graduate students attending 1,800 postsecondary institutions in the 50 states, the District of Columbia, and Puerto Rico. In addition to information on financial aid, the study collects data on many other topics, such as student demographics, total and net prices of attendance, education-related debt, major field of study, employment while enrolled, and participation in remedial education. Study abroad, including the location and duration of time spent abroad. A First Look report, which was released in January, highlighted key findings from the study. For more information on how the study was planned and conducted, including extensive details on sampling, data collection, response rates, weighting, and other topics, we encourage you to see the 2015–16 National Postsecondary Student Aid Study (NPSAS:16) Data File Documentation report. NCES staff will give 14 presentations during the American Educational Research Association (AERA) 2018 Annual Meeting on topics ranging from Peer Victimization and Digital Learning to Higher Education and International Comparisons. The meeting takes place from April 12 to 17 and NCES staff will share their expertise in both research presentations and training sessions. AERA is the nation’s largest professional organization devoted to the scientific study of education, and its annual meeting is the largest gathering of scholars in the field of education research. The research presentations and training sessions involving NCES staff are listed below. In addition, the NCES booth will be featured at the exhibit hall where attendees can “ask an NCES expert,” learn how NCES data can support their research, or pick up publications and products. Follow us throughout the conference on twitter using @EdNCES and the hashtag #AERA2018. We hope you’ll join us whether in New York or online! A listing of all presentations by NCES staff is shown below. The first three sessions listed are trainings. Registration for the trainings is still open, but space is limited. 10:35 a.m. – 12:05 p.m.
4:05 p.m. – 6:05 p.m.
10:35 a.m. to 12:05 p.m.
12:25 p.m. – 1:55 p.m.
We are excited to welcome Dr. James Lynn Woodworth to his new position as Commissioner of NCES. Dr. Woodworth comes to the Center with a range of experience in the field of education. Before joining NCES, Dr. Woodworth worked as lead quantitative research analyst at the Center for Research on Educational Outcomes (CREDO) at Stanford University. His areas of research include charter schools, online education, and school closures. Prior to his work at CREDO, Dr. Woodworth served as a Distinguished Doctoral Fellow in the Department of Education Reform at the University of Arkansas, where he earned a doctorate in Education Policy. Dr. Woodworth also has a master’s degree in educational leadership and a bachelor’s degree in music education. He was a public high school teacher for 11 years before pursuing a research career.